Do you always need something for your home office? Or at least have your eye on a new electronic toy? I have a couple of good ones to share with you today! 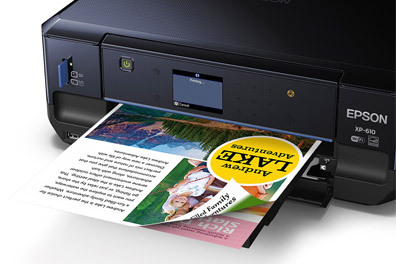 The Epson XP-610 is the perfect small printer (25% smaller than competitive models!) 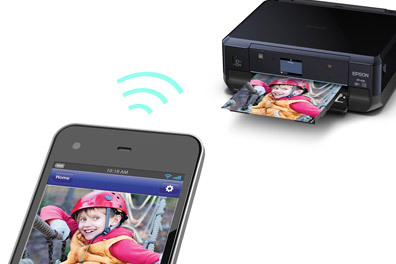 that does what you need – print, scan, copy and make amazing photos. It was rated Unbeatable Photo Quality by consumers. I have a whole list of items I will be printing out and need a good color printer for ~ all by the end of the year! Want to hear my ideas? Calendars for the new year – the 2-sided printing is going to be perfect for this! 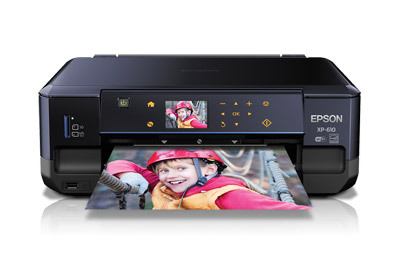 LOVE the Epson Connect where I can easily print from my iPad & iPhone for wireless printing. Since all of my photos are taken with my phone this is awesome! You can also plug in a card drive with your photos or projects. You don’t even need a computer! oh and you can print right on CDs/DVDs – that would make a cool gift too! 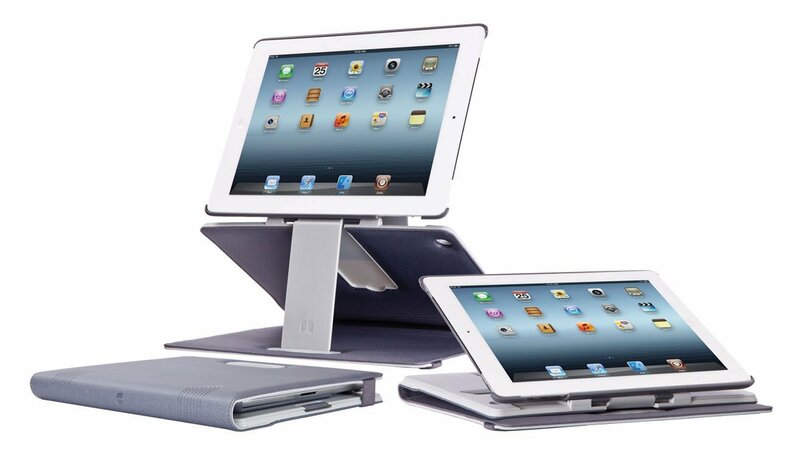 Team up your new Epson XP-610 with your iPad in its Domeo Loft Folio Case. Love this stand! You can’t even tell that is my iPad at first glance. Perfect for my office (well I wish it was MY office) with my wireless keyboard or even in a bedroom as a tv? This is just one way to use the loft folio. It has 8 viewing angles! 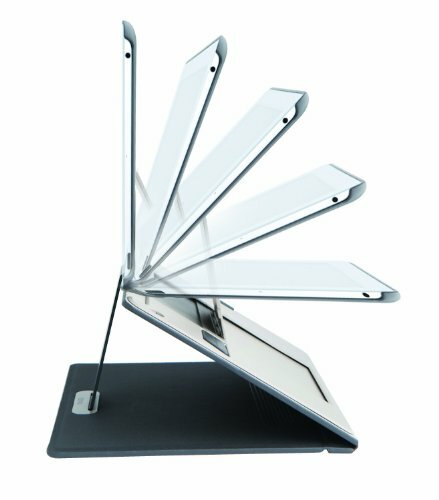 The built in kickstand lets you view the screen at whatever level you need and lie flat to carry with you. Do you need a domeo loft folio? Fits iPads 2,3, & 4th generation and retails for $39.99 on Amazon. WIN the Domeo Loft Folio! Amazon links are affiliate. Thank you for supporting this blog! I received this item for free for review and all opinions are my own. This giveaway will end on December 10, 2013 at midnight EST. Winners will be drawn via rafflecopter. Once a winner is drawn I will contact them and they will have 48 hours to reply before I draw a new winner. Giveaway is open to anyone in US and you must be 18 years of age or older. Giveaway not affiliated with Facebook & I release them of liability. Winner will be posted in the rafflecopter widget. Choo Choo Soul: Disney Favorites Autographed CD Giveaway ~ 3 Winners! This is awesome! I'd gift it to my father-in-law for Christmas. His case is cracking. I'd love an iPad to go with it too. If I won, this would be a gift. I could use this very much so. This would be awesome as a gift for my son! What a great giveaway, hope I win! I could definitely use this for my ipad! 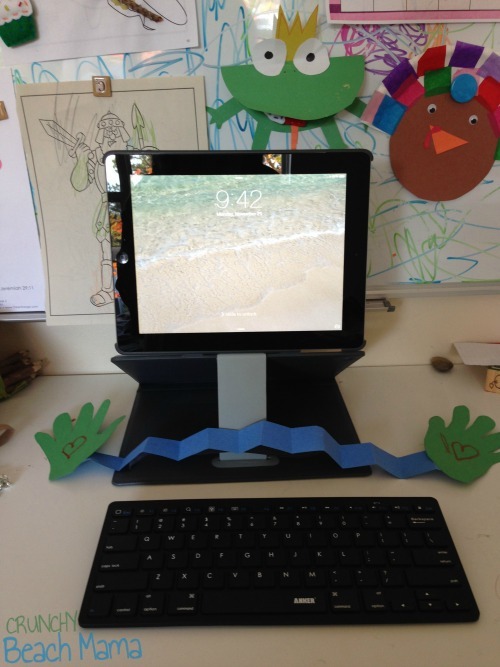 This would be a great gift for my niece, who does have an iPad! This case looks awesome! I've never seen one stand up like that. :) Cool! This case would make typing up papers more enjoyable! My brother can use a new case like this. This looks to be the perfect case! The perfect gift! This would make a great gift for my in laws! This would be great for dd when she uses my iPad! This iPad case is so neat. I love all of the features. My mom would really like this as my family is surprising her with an iPad for Christmas. Yes, this is a great prize! No, but I know a couple of family members that could, and this would make a really nice gift! Thanks!!! I could certainly use the new Ipad case. I would put it to good use. I use a new iPad case like this. Yes, I could you a case like that. It would be awesome. I could also use a printer. REALLY BAD!!! This would be so useful for reading recipes in the kitchen! Yes! I would love one! This would be such a help for my son in school. Yes, my son could totally use this! This would be great! I love my ipad, and this would make it better! I would love to have this case for my dad!! He could definitely use something like this! I would love a new ipad case! Thanks for the review and giveaway! I would love this stand! The iPad we have is heavy and after awhile my arm gets so tired from holding it, this would be wonderful for watching shows! I could use a new IPad case mine is not protected with a case! I could. My other one is worn out. Yes I could use a new Ipad case like this.